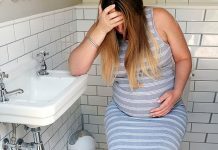 There are a number of pregnancy complications that can severely impact the health of a pregnant mother and her baby, but which medical science has not been able to predict with any level of reliability. These include pre-eclampsia, miscarriage, premature birth, and fetal growth restriction, a condition where the fetus does not properly grow and develop. These complications are all believed to be related to defects in the placenta and the way it develops and functions. Until now, doctors have had no reliable way to predict which women may be at risk for these conditions, and could only begin treatment after the fact, when it may be of minimal benefit. 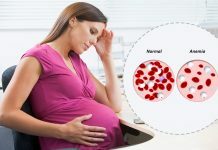 Now, however, researchers are developing a test which can predict which mothers are at risk for pregnancy complications well in advance of the development of symptoms. This genetic test looks for subtle differences in specific genes from the mother, the baby and the father that can predict an increased risk for pregnancy complications. This will greatly improve the ability of doctors to provide targeted prenatal care. It may also allow doctors to develop ways of improving the development of the placenta during those first crucial weeks of pregnancy, as well as improve the placenta’s functioning capabilities throughout pregnancy. Surprisingly, research shows that it is not only the mother’s and baby’s genetics that come into play, but the genetics of the father as well. Next articleHow To Care For Your Newborn Baby During Post Natal Development Period?